It is natural to want and expect to feel safe in our own homes, but the threat still exists around us. According to the State Department of Justice FBI, burglaries have had a steady increase in each decade of recorded history. Of that, a startling 73.9 percent of all burglary offenses are residential properties. Statistics further report that a burglary takes place every 15 seconds and one robbery every 1.5 minutes. Crime figures indicate that every home has a greater chance of being the target of a break-in attempt than not. Are you willing to gamble with your property and more importantly your family’s lives? It is estimated that 74% of uncompleted intrusions can be credited to an audible alarm system. And homes without alarm systems are 3 times more likely to be burglarized than those with an alarm system. Security Safe offers state-of-the-art security alarm solutions to keep you protected and comfortable 24/7. We offer 24/7 monitoring of your home and equipment through our cellular radio network reporting to our advanced Central Station monitoring facility. Security Safe Interactive works seamlessly with the Alarm.com web portal and web-enabled devices for remote access and control of your home wherever you may be. 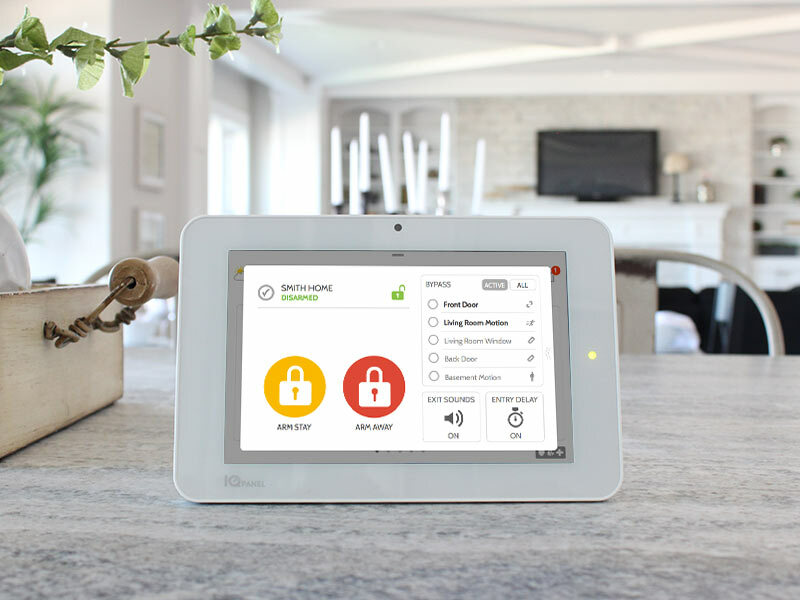 Not only controlling your home Security System, but the ability to expand to control of your home’s lighting, HVAC and more. Since 1985 Security Safe has been the trusted name for professional service and care in all facets of residential and commercial low voltage solutions. Contact us today to learn what a security alarm can do for you.